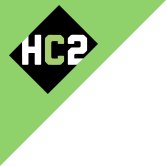 Newsroom | Investor Relations | HC2 Holdings Inc.
NEW YORK, Nov. 30, 2018 (GLOBE NEWSWIRE) -- HC2 Holdings, Inc. (“HC2”) (NYSE: HCHC), a diversified holding company, announced today that its operating subsidiary DBM Global Inc. (“DBM Global”) (OTC: DBMG), a family of companies providing fully integrated structural and steel construction services, has completed its previously announced acquisition of GrayWolf Industrial, a premier specialty maintenance, repair and installation services provider. For nearly 40 years, GrayWolf has developed an outstanding reputation for on-time deliveries, commitment to safety and furnishing quality services and products. GrayWolf provides services including specialty welding, maintenance and rigging, among others, to clients across the United States and select international locations in a variety of heavy industrial and mechanical industries, ranging from power to petrochemical to pulp & paper to mining. The focus on maintenance and service is complementary to the existing DBM Global fabrication and erection capabilities. The purchase price for the acquisition, inclusive of $80 million of assumed debt of GrayWolf, was $135 million (subject to working capital adjustments), which was financed with $15 million of cash from DBM Global’s balance sheet and $40 million of cash from HC2’s insurance subsidiary via an investment in DBM Global’s direct parent, DBM Global Intermediate Holdco, and an $80 million term loan incurred by DBM Global used to refinance the assumed debt of GrayWolf. The Company also announced that Michael Lampert, GrayWolf’s Chief Operating Officer (“COO”), has been appointed Chief Executive Officer of the new GrayWolf subsidiary of DBM Global, reporting to Rustin Roach. Mr. Lampert is a 30+ year integrated sales, engineering, manufacturing and finance veteran and has been with GrayWolf for the last decade. In his most recent role as COO, he was responsible for all operations across GrayWolf’s four business segments including sales and estimating, project execution, safety, quality and human resources. Previously, Mr. Lampert served as GrayWolf’s Chief Financial Officer where he was responsible for all financial operations across the business. Prior to joining GrayWolf in 2008, Mr. Lampert spent nearly 20 years with Integrated Energy Technologies where he served most recently as President based in Evansville, Indiana. Mr. Lampert also served as a United States Air Force officer and obtained a Master of Science and Bachelor of Arts degree from Southern Illinois University. DBM Global Inc. is focused on delivering world class, sustainable value to its clients through a highly collaborative portfolio of companies which provide better designs, more efficient construction and superior asset management solutions. The Company offers integrated steel construction services from a single source and professional services which include design-assist, design-build, engineering, BIM participation, 3D steel modeling/detailing, fabrication, advanced field erection, project management, and state-of-the-art steel management systems. Major market segments include commercial, healthcare, convention centers, stadiums, gaming and hospitality, mixed use and retail, industrial, public works, bridges, transportation, and international projects. The Company, which is headquartered in Phoenix, Arizona, has operations in United States, Australia, Canada, India, New Zealand, Philippines, Thailand and the United Kingdom.